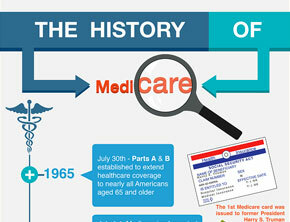 Medicare offers prescription drug coverage to everyone with Medicare. To get Medicare drug coverage, you must join a plan run by an insurance company or other private company approved by Medicare. There are two ways to get Prescription Drug coverage, either through a Medicare prescription drug plan (Part D) or through a Medicare Advantage Plan (Part C). Medicare prescription drug plans can vary in cost and the drugs they cover. Each plan has its own list of covered drugs (called a formulary) and many Medicare drug plans place drugs into different “tiers” on their formularies, with drugs in each tier having a different cost. So it’s important to know if your current prescriptions are included in the formulary and what the costs are. Here’s where SeniorQuote can help: a Licensed Agent can review all your prescriptions with you and recommend the plan that will give you the widest coverage and offers you the best buy. When Do I Join a Drug Plan? When you are first eligible for Medicare and deciding how to get coverage, you might choose a Medicare Advantage Plan (Part C) and/or Medicare prescription drug coverage (Part D). During open enrollment periods, you can sign up for a plan or make changes to coverage you already have. While you don’t need to sign up for Medicare each year, you do have a chance to review your coverage and change plans during annual open enrollment. If you’re unsure about when to join, call a SeniorQuote expert to help you. There are several ways to join – and the one we think is the easiest and fastest is to call SeniorQuote! A Licensed Agent can walk you through it, answer all of your questions and make sure the prescriptions you need are covered. Joining a Medicare drug plan may affect your Medicare Advantage Plan (Part C) if it already includes prescription drug coverage. In that case you’ll be disenrolled from your Medicare Advantage Plan and returned to Original Medicare (Part A & B). Call SeniorQuote to review your current coverage before you make any decisions. You cannot have prescription drug coverage in both your Medicare Supplement policy and a Medicare drug plan and Supplement insurance can no longer be sold with prescription drug coverage. However if you have drug coverage under a current Supplement policy, you can keep it. If you’re unsure what you have or need, call SeniorQuote to help you understand your options. If you decide not to join a Medicare prescription drug plan when you’re first eligible, and you do not have other creditable prescription drug coverage, you’ll likely pay a late enrollment penalty, unless you qualify for Extra Help (a Medicare program to help people with limited income and resources pay Medicare prescription drug plan costs). Be sure to join a prescription drug plan when you are first eligible. Call a SeniorQuote expert for help if you’re unsure which plan is right for you. A SeniorQuote Licensed Agent can help answer any questions you have about a getting the Part D prescription drug coverage you need. Our agents are specialists about the issues that matter the most to you. You’ll get easy to understand, unbiased information to simplify finding and selecting the right policy and have confidence that you’re making the smartest choice for you and your family. What’s more, SeniorQuote is licensed in all 50 states, and has the unique ability to help you shop more than 30 insurance carriers, doing all the legwork to thoroughly compare them for you. One call to a SeniorQuote Licensed Agent can get you the coverage you need at the best price possible.